With less than 8 months to go until all of our hardware solutions have to be delivered, we are starting to feel the pressure! The last 2 years have flown by and we are now putting all of the preparation and planning work into practice. Contractors have been appointed and work is underway so real changes will be visible on our ‘Smart Street’ very soon. Engaging with other cities on a similar journey to ours continues to play a vital role in our learning, and we are excited to see how our Smart City vision takes shape over the coming months. Watch this space! Installation of new electric vehicle charging points at Duke Street car Park has been very successful with most of the charging bays full every day. Ensuring all of our hardware is installed before October 2019. 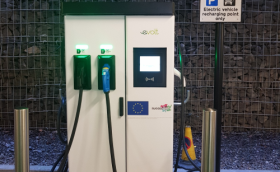 The new charging points at Duke Street Car Park are being well utilised and there are now electric taxis making the most of the car park and using the new rapid chargers which is fantastic news. We hope that in the very near future many of the taxis companies opt for an electric vehicle alternative to help Glasgow take further steps towards becoming a low carbon city. These new chargers will very soon be connected to the solar PV canopy/ battery, with the newly appointed contractors having started the canopy design process. Installation is expected over the coming months. Since the last update a few issues have arisen with the domestic (community) battery solution. Due to a few challenges with the appointed contractor for the domestic battery solution, a new contractor has now been appointed to begin the working at Gibson Heights at the Drygate flats. Due to this delay, the proposed date for installation of February 2019 has not been possible however we are still ahead of schedule and should have the battery installed in the near future. Our project partners GHA, Siemens and GHA’s subcontractor, Heriot Watt University are continuing to work together to ensure the best possible system for the residents in the flats. 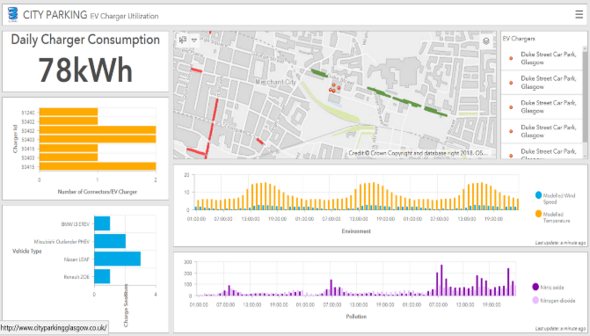 The user interface for the data based decision platform is still being developed. This process has been highly valuable and has brought together a number of people from different departments across the council to ensure the system designed is fit for purpose. The process itself has been highly valuable and it is hoped that the group will continue to work together in the future. 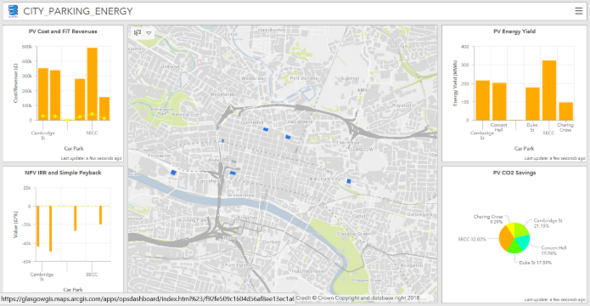 It is hoped that the data displayed in the platform will be meaningful and will help to shape future decisions taken by both the council and our partner organisations. CleanMobilEnergy - 17 January 2019: Following the success of the CleanMobilEnergy meeting in October last year, the Glasgow RUGGEDISED team were invited to attend the first partners update meeting in January along with a representative from the H2020 Sharing Cities project. The INTERREG funded project will be looking to implement similar solutions to some of those found in the RUGGEDISED project across the cities of Arnhem, Nottingham, London and Schwabisch Gmund. As a result of this meeting, we gained some very valuable insight into experiences of partners involved in procuring grid-scale batteries, which we have used to improve our approach to procuring our battery solution. We hope to continue to share our experiences with them as they develop their solutions. Find out more about the Horizon 2020 Sharing Cities project at www.sharingcities.eu and take a look at their newly developed Knowledge Platform. Network Awards 2019 – Birmingham : We are delighted to announce that Glasgow’s Smart Street, being developed through RUGGEDISED, has been shortlisted for the Network awards in Birmingham on the 26th of March. The project has been shortlisted in the Smart Cities category. The awards ceremony follows the Network Forum 2019 which brings together the UK’s energy network providers for a full day of presentations, exhibits and networking.